In only a few weeks time, Razmataz Lorry Excitement will be launching his new album Without at Northern Stage, with help from ourselves at NARC., Nathalie Stern, NOVAK Collective, Field Music’s Peter Brewis and Peter McAdam’s iCoda Software. On the night, we’ll also be bringing you two amazing short films preceding the sets by RLE and Nathalie Stern to help make the night a truly unforgettable audio-visual experience. Soviet filmmaker Dziga Vertov once believed that his concept of the kino eye – a form of montage used in many of his films during the 1920s – would help contemporary man evolve into a higher, more precise form. 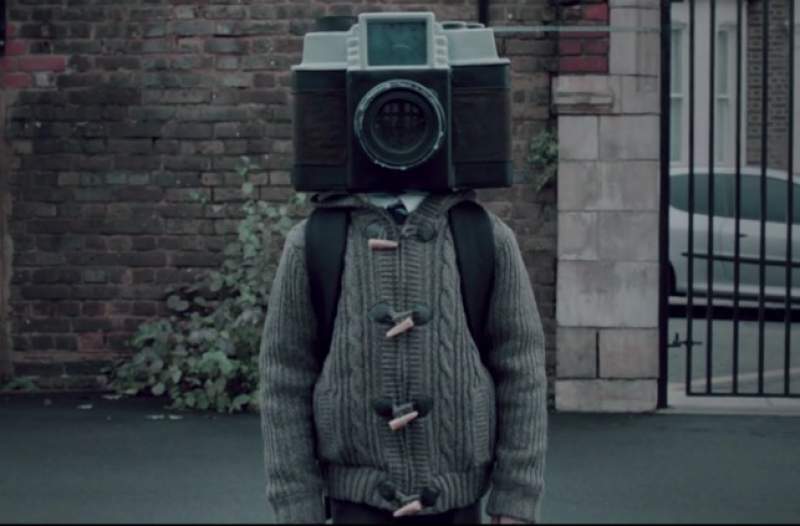 Perhaps if he’d seen The Boy With A Camera For A Face, he might have changed his mind about the whole concept. Spencer Brown’s dark, satirical fairy tale follows an unnamed boy through to adulthood, and the trials and tribulations he faces along the way. He’s no ordinary boy though. He’s got an SLR camera for a face and documents every waking moment of his life on to videotapes. Aided by a narrator, who speaks in rhymes Dr. Seuss would be proud of, we follow the boy as he faces bullying, the awkwardness of adolescence and eventually finds true love. He also gets his own reality TV show, which could spell the end of mankind as we know it. Quirky, beautifully shot and graced with a wonderfully distinctive concept, the 15-minute film manages to cram enough wit, charm and thought-provoking commentary on contemporary society to keep any cinephile happy. The film is also almost completely silent, with only the sound of pencil scratching and a light rustling of paper heard throughout but don’t be put off; the lack of sound just makes the visuals more intriguing and beautiful to watch. The lack of sound or music should also provide a stark contrast to the rest of the night, creating a highly atmospheric two minutes in the room. You can see both The Boy With A Camera For A Face and In The Air at the Razmataz Lorry Excitement album launch at Northern Stage, Newcastle on Saturday 18th July.